Fact: kids + comfort = vacation happiness. Comfort, of course, is achieved not just in a physical sense, but an emotional one as well, and when accomplished, makes complete sense. In a previous posts I’ve discussed the value of appropriate gear when planning a trip to Alaska with kids. On the AKontheGO home page, you can check off items from a helpful list, and search options for renting gear you might not want to bring along or purchase for fast-growing children. In addition to outstanding service from Alaska Baby Rentals and Alaska Outdoor Gear Rental, there’s a new kid on the rental block – BabyQuip – and I met with provider Jeannette Caswell last week to discuss options for families. Caswell is mom to twin boys and is dialed in to the needs of parents juggling all kinds of stuff while traveling. BabyQuip is a nationwide platform with individual providers, and Caswell recently started offering equipment to folks in the greater Anchorage area. Need a car seat? High chair? Portable crib? She’s got them in her inventory, and can meet you at your home, the airport, or just about anywhere else to make sure you have what you require for a meaningful Alaska experience with kids. And, Alaska families, to further the convenience factor, BabyQuip is available in many other cities, so it’s pretty easy to search for and reserve items before you try to haul it all out of Alaska (hello baggage fees) for your next trip. All geared up? 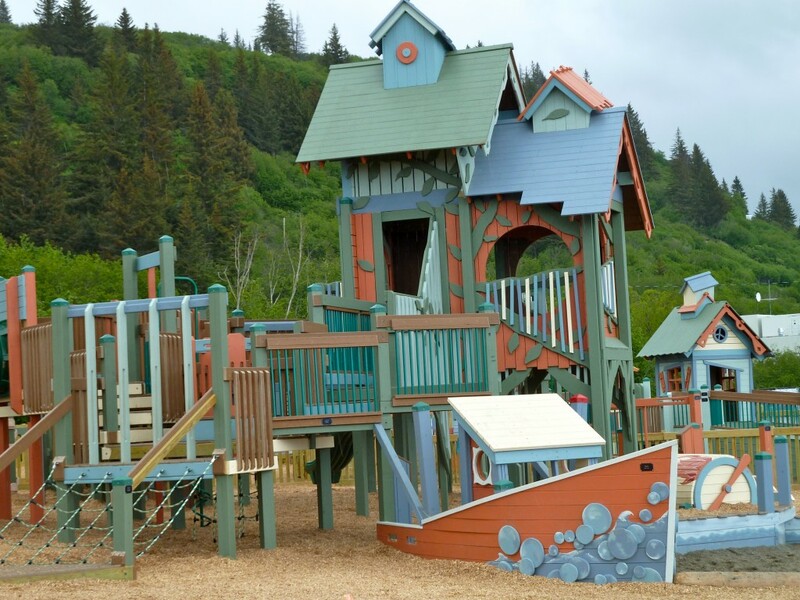 Go play on one of Alaska’s many playgrounds, a place where kids can just be kids on their own terms. No tour schedules to meet, no limits on noise-making because other hotel guests might get mad, no worries about climbing that ladder. Just pure play time. One of AKontheGO’s most popular posts centers around these ‘destination playgrounds,’ named so because the towns in which they reside are great places for the whole family to explore. But after the day cruise, or souvenir shopping, or restaurant meal, it’s fabulous to just run and jump and play up a storm. Community playgrounds are places to meet other children, enjoy a familiar activity (remember – comfort), and toss back your head and laugh up a storm without someone on the seat next to you saying “Quiet down.” Phhht. Go crazy, kids. 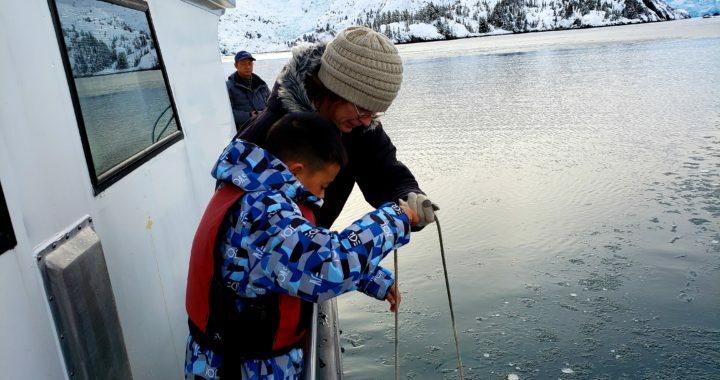 Finally, it’s mid-February in Alaska, a month when most people are considering a trip to Hawaii, not a full day spent cruising the chilly nooks and crannies of Prince William Sound with their kids. But I did just that yesterday with Babkin Charters and a full boat of guests from China who wanted to experience winter in the Last Frontier. Day cruise companies are responding to the changes in weather patterns by offering trips out of Whittier and Seward during the latter half of winter, and frankly, they’ve got a fan in me. 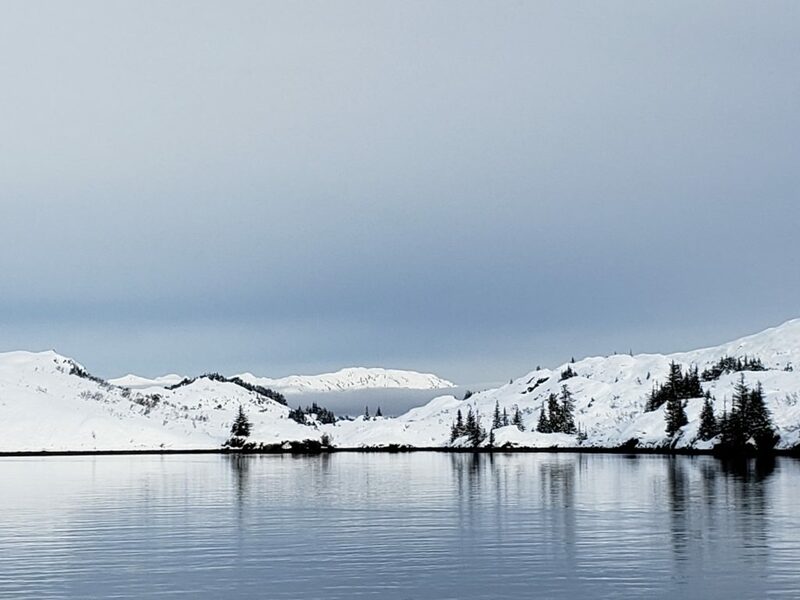 Scenery is stunning in a starkly beautiful sort of way, with peaks sharply contrasting with the gray waters of Prince William Sound or Resurrection Bay. Otters and seals calmly observed us and even swam near for a closer look, feeling more secure in the quiet waters undisturbed by the legions of vessels present in the busy summer months. And the glaciers? They stood out in silent affirmation that there is no place like Alaska for blue ice. With the appropriate gear and a good tour guide, kids will enjoy the day and take home bragging rights to something most of their classmates and friends have yet to experience. 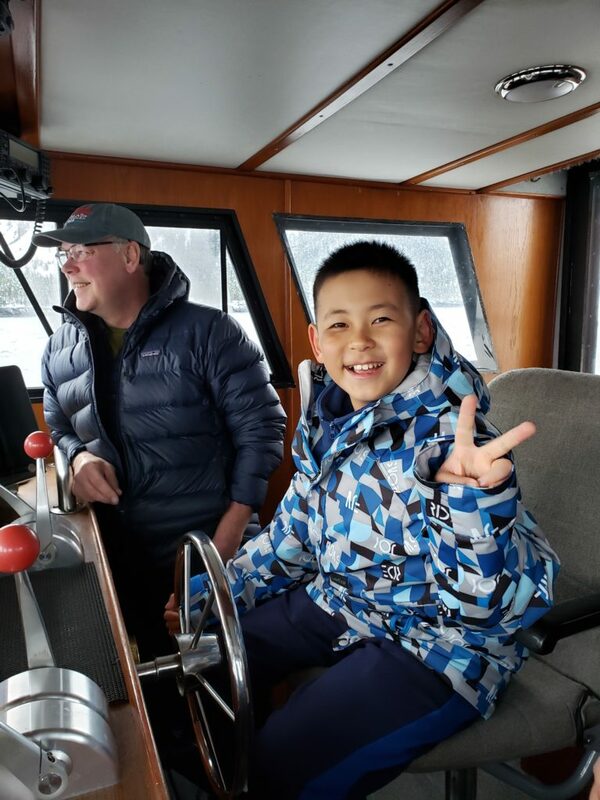 Try Babkin Charters and Lazy Otter Charters in Whittier (the latter even offers school/group trips that take marine science to a new level of fun); or Seward Ocean Excursions in Seward. Dress for variable weather patterns (including wind), and bring your eagle eyes for spotting wildlife. 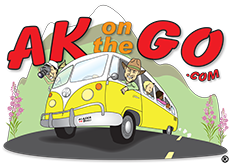 Posted in General Travel Info, Logistics With Kids, Make-A-Wish Foundation and tagged AKontheGO, Alaska day cruises, Alaska with Kids, Anchorage, Babkin Charters, Family Travel, Prince William Sound, Seward, Stillpoint Lodge, Talkeetna.